Mechanical Engineering is a broad field with many opportunities available to you. 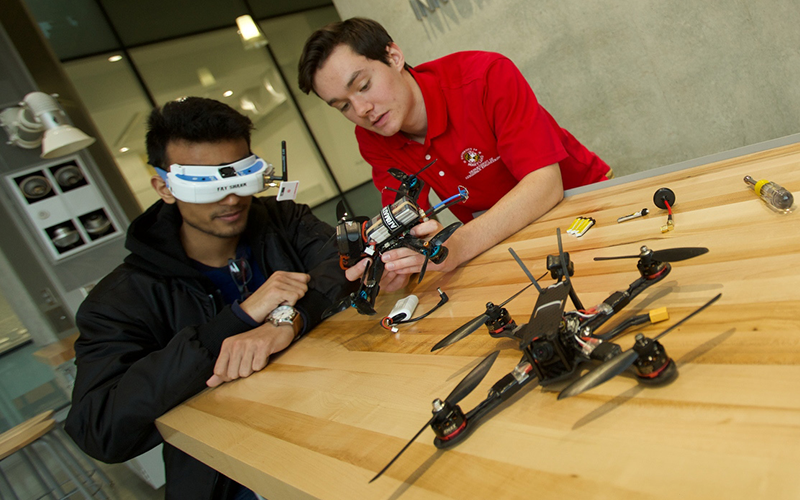 We want you to take your Mechanical program and explore an area or areas that interest you. You are required to take a specific number of elective credits but we give you the flexibility to choose electives that will help you gain the skills and experience required to obtain your future goals. Below you will find some popular concentration areas in Mechanical Engineering. You may choose to specialize in one specific area or combine multiple courses and experiences to create something unique! Outside of class you can further your education in these areas by participating in research, studying abroad, joining a club or organization, or attending presentations by faculty and industry.